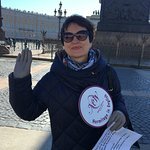 Meet your art-expert guide in Palace Square in central St Petersburg, and stroll to the nearby State Hermitage Museum, housed in the lavish Winter Palace. Along the way, hear how the Hermitage was established by Catherine the Great in 1764, when the empress purchased 255 precious artworks, the seeds of the museum’s now spectacular collection. In 1852, the Hermitage opened to the public, and is now one of the world’s biggest museums, with more than three million items. Entrance lines can be long, so your skip-the-line ticket lets you bypass the wait lines and enjoy fast-track admission to the museum, alongside your guide. If you’re visiting between May and September, your ticket entitles you to early access to the museum, so you can head inside with your guide before the general public, and start exploring the displays in a crowd-free atmosphere. Once inside, drink in the gilded chambers and hear how the museum extends across five buildings, including the Winter Palace, the home of Russia’s Tsars from 1760 onward. Your 3-hour tour ends when your guide departs. Then, either take your leave of the Hermitage or continue to explore its treasures independently — your ticket gives you all-day access to the museum. Please note: While your skip-the-line ticket gives you early access to the Hermitage from May to September, the privilege is subject to the museum’s official approval. Excellent way to get most out of visit in 3 hour tour. Beat the queues and see the main items. Ines was an excellent and knowledgeable guide. An enjoyable visit. Ticket also includes impressionists paintings in nearby building which you can do on your own. THIS IS A WONDERFUL EXPERIENCE ! Get quick answers from Small-Group St Petersburg Hermitage Museum Tour with Skip-the-Line Entry and Summer Early Access staff and past visitors. Thank you for your question. Yes, the tour includes the state rooms of the Winter Palace which is a part of the Hermitage complex. Hope to see you joining one of our tours.